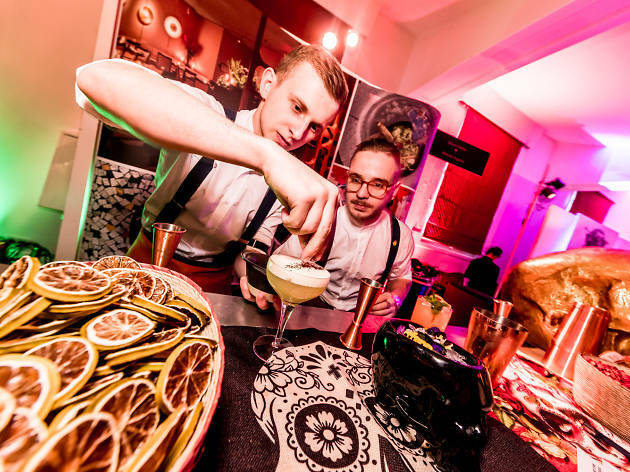 The spring edition of this classy boozathon will be held in Waterloo's The Vaults, bringing 25 of the city's best bars, speakeasies and clubs together to serve you the makings of their mixology skills. Expect exceptional concoctions from a handpicked selection of the world’s top bars in pop-up form. There are a whole load of new sensory experiences available for 2019, including tasting flights, bar battles, champagne cocktails, Tasting Rooms hosted by 31Dover.com and new sensory cocktail experiences. My second year at Cocktails in the City Summer and it didn't disappoint. Whoever came up with the idea of having the best cocktail bars in London within a stones throw of one another, thank you! A nice summers evening after work with friends.